Chain of wine bars Brix presents Fall Menu. Brand Chef Fedor Verin presented Fall menu of seasonal products in all three bars: on Patriarchs, Pyatnitskaya and Pokrovka. The menu includes poultry, mushrooms, nuts and cereals with various cream and fruit sauces. 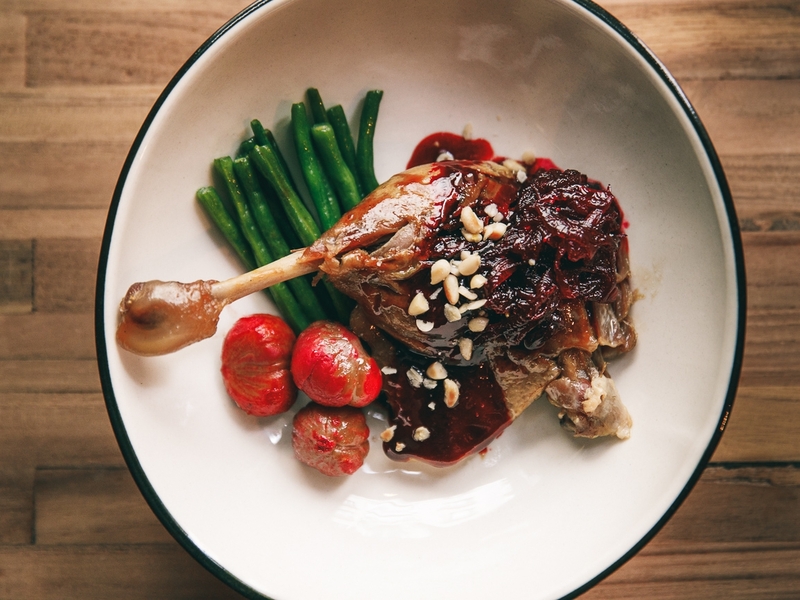 Flavoured Confit duck leg served with chestnuts and Kenyan beans; veal liver with apples, sweet Shallot onion and quinoa; roast beef with spicy Ebara sauce and fresh Romano salad; tartar set - tuna, scallops and seabass - served with avocado and passionfruit sauce, and many others.